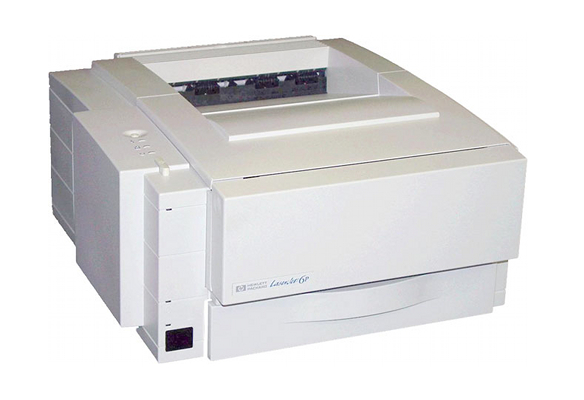 Introduced in June of 1997 and discontinued in April of 1999, the LaserJet 6 series would be viable at present as a personal laser printer, given the abundance of relatively inexpensive toner available for it. However, as a printer well over a decade old, it lacks the interfaces necessary to connect it easily to non-legacy PCs and has fallen so far behind its successors that it's almost impossible to recommend it for any office applications. The printer measures a relatively small 17.52" by 15.75" by 7.87" with its trays closed and weighs an extremely light 24.5 lbs. 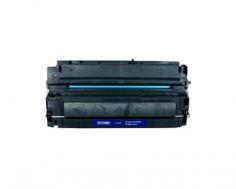 With its multipurpose tray and its rear tray extended to their full size, the printer measures 35" by 15.75" by 7.87". With its trays left shut, the printer will fit very easily on almost any work space without being a nuisance. However, regular use of the 6P's trays may necessitate its own piece of furniture. The instant-on fuser included in the 6P means that the printer has no warm-up time. The 6P can print to letter paper, A4, Executive, Legal, and B5 sheets and custom paper sizes of 3" by 5" to 8.5" by 14". The 6P includes 2MB of RAM, expandable to 50MB across its three SIMMs. Additionally, the LaserJet 6 series includes Memory Enhancement Technology, which automatically compresses print jobs to increase speed and potential throughput. The LaserJet 6P prints at the speed of 8 pages per minute. This is less than halfof what even average printers released in the last ten years produce and a huge drawback for anyone producing either large quantities of documents or large documents, as newer printers and this printer's successors print 20-50 sheets per minute, leaving this particular model far behind its newer, more efficient competition. The 6P supports a maximum capacity of 350 sheets of paper across its two trays at 100 and 250 sheets each, slightly over half a ream of paper. While for personal use this likely will not be an issue, this combined with its slow print speed essentially disqualifies the printer almost completely from any contemporary workplace use, as even many small offices go through a ream of paper daily. The 6P cannot print at resolutions above 600 by 600 dpi, well below contemporary printers' resolutions of 1200 by 1200 dpi for both grayscale and color documents. This will prove especially inconvenient for users who often use their printers to reproduce grayscale images. The LaserJet 6P features only a number of deprecated port systems. It has two parallel ports and one LocalTalk port as well as IrDA, but it lacks USB 1.1 or USB 2.0, Bluetooth, or built-in network support. An external print server may be a viable option, but most contemporary print servers no longer support the 6P, making it difficult to network without employing untested, potentially unreliable workarounds. If working exclusively with legacy PCs and pre-1998 iMac Macintosh computers, this will not be an issue; however, many newer systems will have no easy means by which to communicate withIntroduced in June of 1997 and discontinued in April of 1999, the LaserJet 6 series would be viable at present as a personal laser printer, given the abundance of relatively inexpensive toner available for it. However, as a printer well over a decade old, it lacks the interfaces necessary to connect it easily to non-legacy PCs and has fallen so far behind its successors that it's almost impossible to recommend it for any office applications. the 6P, making it extremely difficult to set up and make usable. The HP JetDirect EX is the only semi-official solution to this problem, but it may easily cost more than the printer itself. However, if the printer is to be shared between multiple legacy systems without networking, the LaserJet 6P does make this easy; it can switch automatically between its parallel and LocalTalk ports, reducing the need for user intervention. Various 6P models include several different features. The 6Pse adds an Internet Publishing Kit that includes Microsoft Internet Explorer, a trial for Microsoft Network, and Microsoft Publisher, though these will all be many years out of dated, insecure, and likely impossible to install or use. The 6Pxi includes the Internet Custom News Kit featuring Netscape 3.0, AT&T WorldNet, and the PointCast Network, though these services are almost entirely nonexistent at this point in time. 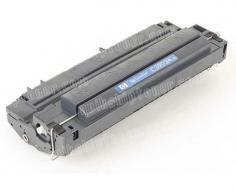 Review it: "HP LaserJet 6P "
The 6P series' toner cartridge needs replacing at every 4000 pages at 5% coverage. 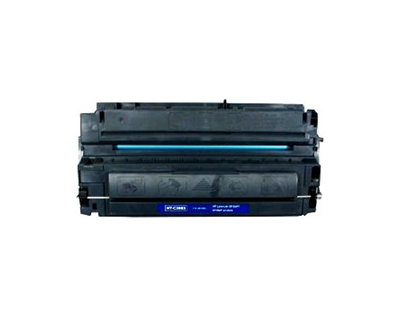 The printer's drum unit is built into the toner cartridge, bringing down the amount of maintenance necessary to keep the printer operational but potentially bringing up costs in the event that one component fails before the other.